Narrative games revel in the mystery and excitement of their storylines. While this course won't teach you how to write a story, it will teach you ways to make your interactive stories more interesting and compelling. The course takes you through the complete process of building a narrative game using nothing but Unity, some open source dialogue software, some free art and music from open source locations, and your own smarts. 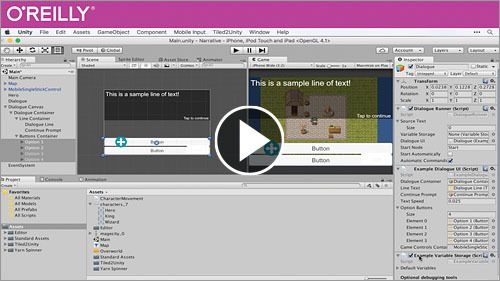 The course works best for those with a very basic understanding of the Unity game engine interface and C# programming.